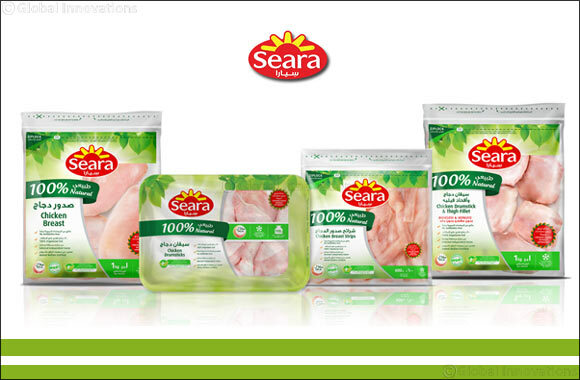 Dubai, UAE, November 28, 2018: Seara, one of the largest food producers in Brazil and the world, have launched an innovative Seara 100% Natural line of halal certified poultry products in the UAE as it debuts in the Middle East region. Tailored specifically for the UAE and Middle Eastern market preferences and cuisines, its products, that include whole breasts, drumsticks, breast strips and thigh filets, also conform to global animal welfare certifications. Products are already available across selected stores in the UAE. The Seara 100% Natural line is made from chicken raised without antibiotics, on independent farms with top-quality 100% vegetable-based feed. The chickens are raised in a manner that takes their full well-being into account and careful procedures are put in place to ensure that they stay healthy during all stages of life and do not receive any type of antibiotic. The UAE will be the first market outside of Brazil to receive this innovative range of products. Seara 100% Natural was recognised last month at SIAL Innovation Selection Paris 2018 as one of the main global innovations of the year, from 400 of the most innovative products in the world. More than 2,300 products were evaluated in 13 food categories at SIAL and selections were made by well-known food industry professionals including chefs, journalists and packaging industry professionals. The Seara 100% Natural line was developed after extensive research and studies of UAE and Middle Eastern consumer tastes, eating habits and cuisines over several months. “Before exporting to the UAE, Seara tested these products and concepts with UAE and regional consumers and the results were promising. The Seara 100% Natural line fits in well with the growing demand for natural, healthier and convenient products that is now a strong trend in the region. Governments here have undertaken several initiatives to spread awareness about healthier eating and lifestyle habits and consumers are calling for the availability of natural and healthier food,” said Guillermo Henderson, Managing Director of Seara MENA, based in Dubai. “In addition to Seara 100% Natural, we are introducing Seara Perfect Cuts, which offers finest, hand-cut chicken parts, ideal for preparing traditional Middle Eastern recipes. Our objective is to bring more innovation and variety to our product portfolio in the MENA region,” added Marcos Delorenzo, Marketing & New Business Director of Seara MENA. Seara is part of JBS, the largest chicken and beef producer in the world and is present in more than 150 countries. The company traces its business connections to the Middle East region as far back as 1975, when it exported 240 tonnes of chicken to Kuwait. It has been based in Dubai since 1999 and is also the first Brazilian meat exporter to the EU. Seara has been working for more than 60 years to bring practicality, confidence and innovation to consumers’ dining table and present them with the best in taste and quality.